Milano – Lo Yacht Club Costa Smeralda ha annunciato che l’Audi TP52 World Championship 2011, immancabile appuntamento che ogni anno, al termine del Circuito Audi MedCup, vede sfidarsi i TP52 per la conquista del titolo mondiale, si terrà nelle acque di Porto Cervo tra il 2 e l’8 ottobre 2011. Dopo l’edizione del 2007, vinta da Artemis dello svedese Torbjorn Tornqvist e caratterizzata da un gran numero di spettatori e partecipanti, il Mondiale dei TP52 farà dunque un trionfale ritorno nelle acque della Costa Smeralda. Campioni olimpici e velisti di Coppa America gareggeranno tra le acque di Porto Cervo, per cinque giorni di emozionanti regate a bastone e costiere, all’insegna di spettacolari duelli tattici e prove combattute fino all’ultimo bordo. Gli americani di Quantum Racing, vincitori dell’edizione 2010, saranno quindi chiamati a difendere il titolo nelle acque italiane, con Audi Azzurra, capitanata da Guillermo Parada, Vasco Vascotto e Francesco Bruni, che potrà per l’occasione contare sul fattore casa. “È vero – dichiara Nacho Postigo, Direttore Tecnico del Circuito Audi MedCup – quest’anno il Mondiale sarà a casa di Audi Azzurra e i ragazzi conoscono bene quelle acque. Ma il risultato sarà molto aperto. Il bello è proprio questo: si riparte da zero, con la MedCup che sarà finita da qualche settimana. Per dirla all’americana, sarà un vero e proprio one shot: si va là e si regata per una settimana, in cui, secondo me, tutto sarà possibile. Ma per fare previsioni sarà molto più semplice rispondere dopo aver visto cosa succederà nella la prima tappa di Cascais”. [TP52 World Championship Press Release] The world renowned waters of Sardinia’s Porto Cervo will be the venue for the 2011 Audi TP52 World Championships as the Yacht Club Costa Smeralda hosts to the regatta from the 2nd to the 8th of October. The last time that the TP52 World Championships were hosted on these waters was the 2007 edition, won by Sweden’s Torbjorn Tornqvist ‘s Artemis. Once again the event is expected to attract a high level of sailors including the defending champions Quantum Racing who won the title in Valencia last year. And for the Audi Azzurra Sailing Team, the crew which together won the 2009 world title in Palma ahead of Quantum Racing, will be racing on home waters under the flag of the host club. 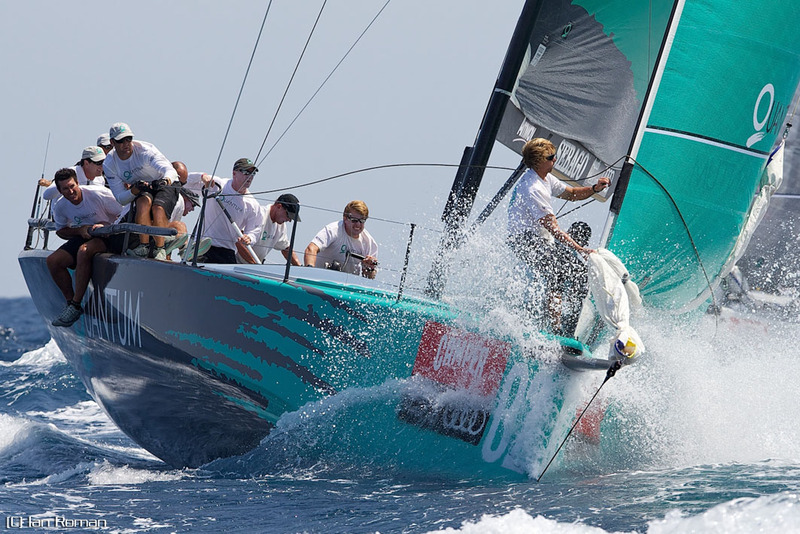 The racing will comprise five days of windward-leeward racing including one coastal race. Nacho Postigo, Technical Director of the Audi MedCup Circuit, says: “This year the worlds will take place at Azzurra‘s home club and those guys know those waters very well. But I think that we have seen in recent years that the result will stay open till the very end. And the difference with the worlds is that we start from zero, the Audi MedCup will be just finished. As Americans say, it will be a one shot week, winner takes the title. In my opinion anything’s possible”.